#ProjectBEAUTY is a national movement aimed at rediscovering true natural beauty and self acceptance in teen girls. The project started as a small shoot by photographer Thomas Nguyen with his Senior model team in Cincinnati. But it quickly grew as he encouraged other photographers to step forward and deliver a powerful message. 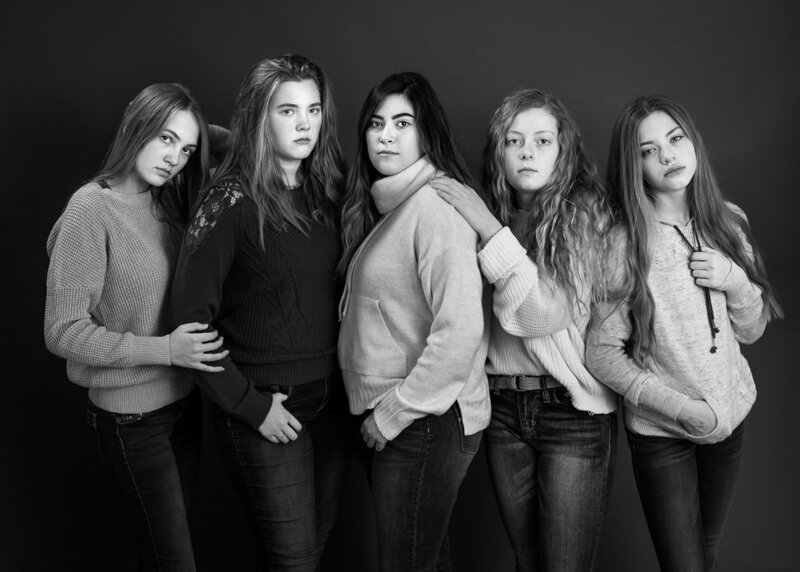 He challenged them to help free these girls from the idea of perfection, and to empower them to not only feel confident about themselves, but to embrace the ‘flaws’ that make them uniquely beautiful. He found that the girls he worked with all have common desires. They want to figure out who they are, value themselves, and embrace their true inner beauty. Our hope for #ProjectBeauty at Angelworks is that every girl we photograph, and everyone watching from behind the curtains will be encouraged, strengthened, blessed, and forever convinced of their own worth. We want you to know that you are beautiful and worth loving - just the way you are. No matter who you are, where you’ve come from, what you’ve done, what’s been done to you, what you’re thinking about doing - you have value, you are worth loving and beautiful, and your story is powerful. Your story has the power to shape your future; to affect the future of those around you; to set and change your perspective, and your story has the power to be an inspiration to others like you. We have every hope for your present and future regardless of how you currently feel about your unfolding story. We wish for you to experience everything that is true, honest, just, pure, lovely, admirable, excellent and praiseworthy. Step forward with us and experience the freedom of helping redefine what true beauty means to your generation and to the world. Show this site to your friends and get involved together! We’ll give you gorgeous digital images in couture black and white, intended to convey the beauty, simplicity and emotion of your session. You will have 7 to 10 digital files, delivered within a week of your session to share on your own social media, and an opportunity to share your story anonymously with us as an inspiration to others. Keep it simple. The main focus of this project is to connect through emotion and body language, rather than showing off the latest fashion trends. Jeans or jean shorts and a solid color white or dark top is the go to outfit. A solid color flowy dress is also appropriate. No Shoes. 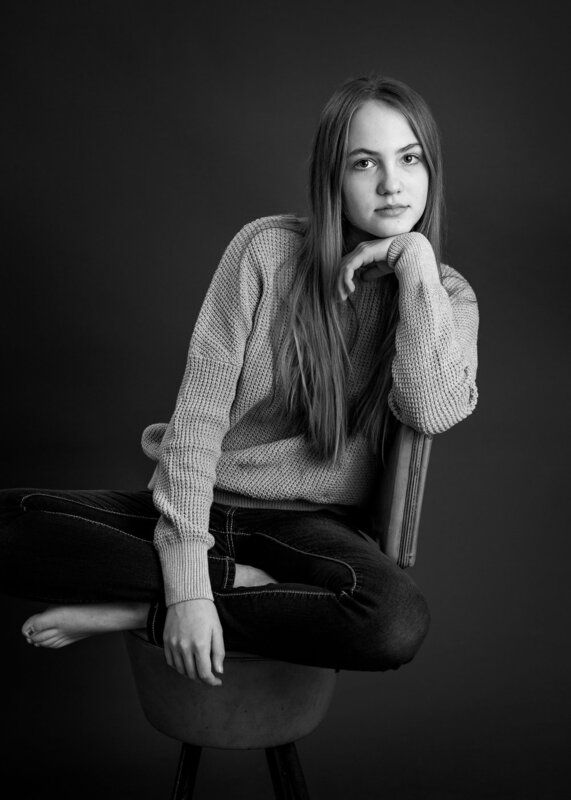 Going barefoot adds to the natural beauty look of these black and white portraits. Outfit Changes. Feel free to bring a backup outfit if you have any doubt about your first choice. We do have a limited time with each girl, so we’ll focus on letting you be you rather than showing off multiple looks. Makeup - None, like really - you can do this! Hair - Do what you like. Straightened, curled, waves, dreds - down or loosely secured. Skin - Wash your face and moisturize like you normally would. Boom, you’re done! Lips - Bring some lip balm for hydration. Consider light exfoliation (followed by lots of hydration - we love aquaphor) the week leading up to your shoot, especially if you tend to have dry or flaky lips. We at Angelworks (Lisa and Charity) have five daughters when we get everyone together, so when we came across this project we knew that the message it has for teens was something we just had to help promote. When we started looking for a like-minded cause to support through #ProjectBEAUTY at Angelworks, the goals of the OneLove Foundation really struck a chord. Named for Yeardley Love, who was killed by her ex-boyfriend weeks before graduating from college in 2010, they are the national leader in educating young people about healthy and unhealthy relationships, and galvanizing them as leaders of change. For every #ProjectBEAUTY session at Angelworks, we will donate $5 to the OneLove Foundation. Our first scheduled #ProjectBEAUTY shoot is taking place over the Christmas break 2018. We’re reaching out to all of our friends - new and old, silver and gold - to make a huge impact in our first year. Girls bring your friends, Moms bring your daughters, your sisters - everyone needs to feel the freedom from perfection that embracing your God given beautiful self brings! Moms are always free with your daughter!